It’s the middle of July and from California to Maine there’s a heat wave messing up our hair and our lawns. It’s fairly common mid season for your lawn to dry out from the heat and start to look more like a bale of hay. By mid-July you’re likely missing the feeling of the lush green grass beneath your feet, and quite honestly, your dog probably feels the same way. It’s time to give your lawn a little extra TLC. That means: watering regularly, staying off it while it regrows, and tending to it like you would a plant in your garden. Heat stress occurs when temperatures climb with little relief from rain or cool conditions. 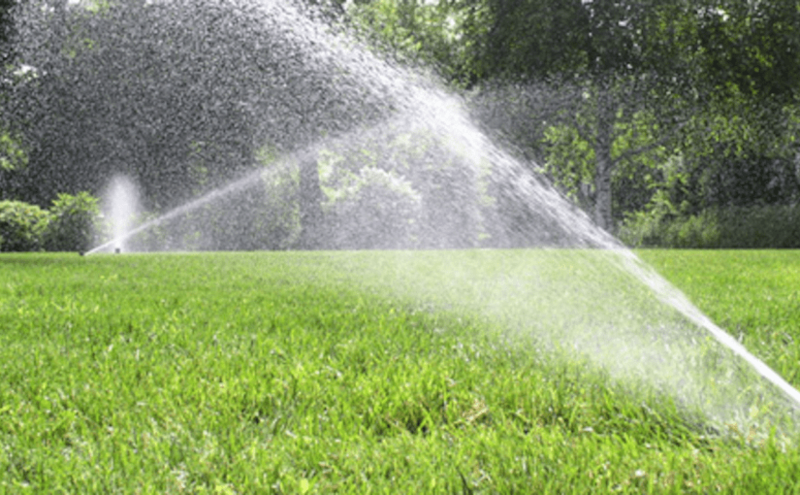 During peak summer months it’s best to water the lawn between 6am – 10 am. Lawns absorb the most moisture during morning hours when the weather is cool. This allows the water to flow directly to the roots as opposed to losing it to evaporation before it’s able to nourish your lawn. However, if you do not plan to water consistently then experts say not to water at all. In addition, don’t feed your lawn with fertilizers or over water in an attempt to revive it, this will create stress which prolongs recovery. Nursing a lawn back to health takes time so if you don’t have that, it’s best to let it remain dormant until next season. Similar to a bad hair cut, your lawn will grow back! How to get a “drought tolerant” lawn. First, cut the lawn on a higher setting once the heat kicks in! Raising the mower deck and leaving the lawn longer in length after a cut will allow the grass to grow deeper roots while shading the soil below it. Shading helps lock in moisture protecting your lawn from burning out quickly. Second, water your lawn at the start of mowing season, frequently. Lawns thrive during high growth periods due to the combination of heat and spring showers. If you maintain a consistent watering schedule, even when the rain runs dry, your lawn will maintain it’s healthy luscious look and feel. If you let your lawn brown and stagnate, watering will unfortunately have the opposite effect. Interested in more grass tips? Find our blogs here!